Hilarie Burton has one amazing makeup artist — or under-eye concealer. 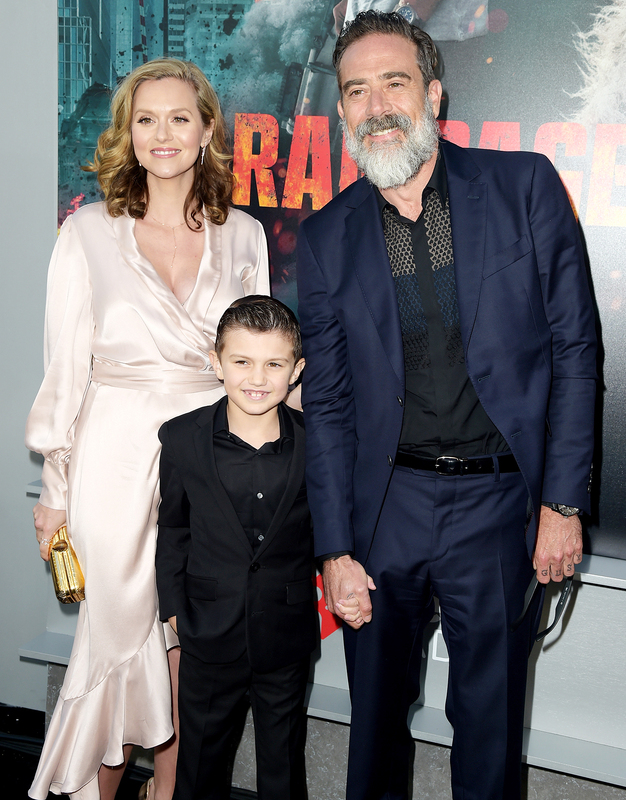 The actress, who gave birth just six weeks ago, looked flawless at the Wednesday, April 4, premiere of her husband Jeffrey Dean Morgan’s sci-fi action flick Rampage. “It’s our first night away from the little baby, so yeah, it’s a big deal here,” Morgan, 51, told Entertainment Tonight at L.A.’s Microsoft Theater. Though newborn daughter George stayed home, her big brother, 8-year-old Augustus, hit the red carpet with his parents and pointed out that his sister has the same name as the gorilla in Rampage. Morgan explained that was just pure coincidence and that they had already decided on their little girl’s moniker before he knew about George the ape. Still, Augustus sees some similarities between his sibling George, and the furry one who appears in his dad’s movie. He even suggested the baby should be a gorilla for her first Halloween as they share a similar disposition. The One Tree Hill alum, 35, and Morgan announced on March 1 that they had welcomed their second child. In a lengthy follow-up Instagram post later that month, Burton shared a series of newborn photos and revealed that she and Morgan had struggled for five years to have baby No. 2. Morgan shared during a Monday, April 2, appearance on Jimmy Kimmel Live! that he helped deliver both Augustus and George during Burton’s all-natural births.